Christmas is right around the corner! 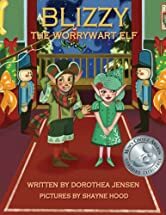 We all know that Christmas celebrations are incomplete without some mischevious elves so we decided to introduce our listeners to a wonderful book series titled Santa’s Izzy Elves (4 Book Series) by Dorothea Jensen, that is guaranteed to add some magic to your Christmas celebrations!! Dorothea Jensen is an award-winning author of fiction for young readers. Her historical novel, THE RIDDLE OF PENNCROFT FARM, is used in schools throughout the U.S. She has written rhyming stories about four of Santa’s Izzy Elves, and has four more in the works! Tune in now to join us in celebrating the fun-filled & crazy Christmas! This fully illustrated e-book is A Mom’s Choice Award Winner, Juvenile Level 1 [Ages 5-8 Years], but older kids who enjoy playing with words and rhythmical verse will love it, too. Although their stories are told in verse echoing the famous 19th-century poem A VISIT FROM SAINT NICHOLAS, Santa’s Izzy Elves are definitely savvy in 21st-century technology. TIZZY, THE CHRISTMAS SHELF ELF is the first of the Santa’s Izzy Elves stories in verse. The Santa’s Izzy Elves stories are not your usual picture books: older kids who enjoy playing with words and reading rhythmical verse will love them, too! One reason for this is that although these stories echo the famous 19th-century poem, “A Visit from St. Nicholas” Santa’s Izzy Elves are definitely 21st century, with electronic devices galore in their North Pole workshop! 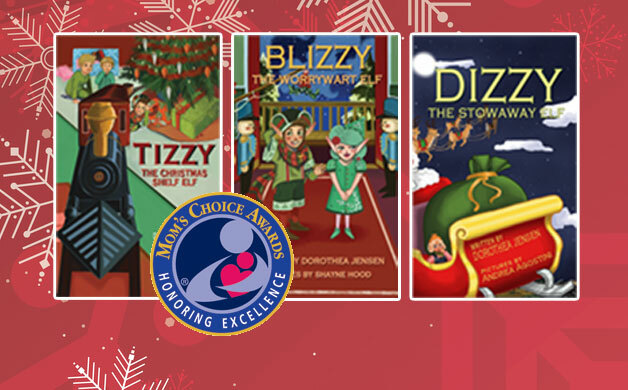 BLIZZY, THE WORRYWART ELF is the second of the Santa’s Izzy Elves Christmas stories in verse by Dorothea Jensen and a recipient of a MOM’S CHOICE AWARD in the e-book category. 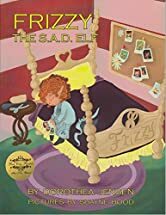 It is about Blizzy, Tizzy’s “favorite class”, the only elf who notices that Tizzy is missing on Christmas morning. When she starts questioning all her friends about when they saw him last, and where Tizzy could possibly be, however, they think she is just being a “worrywart”. What Blizzy REALLY is, however, is very, very clever, and she alone just might figure out the mystery! DIZZY, THE STOWAWAY ELF, has been Story Monster Approved! Santa’s Izzy Elves stories are not your usual picture books: older kids who enjoy playing with words and rhythmical verse will love them, too! One reason for this is that although these stories echo the famous 19th-century poem, A VISIT FROM ST. NICHOLAS, Santa’s Izzy Elves are definitely savvy in 21st-century technology. 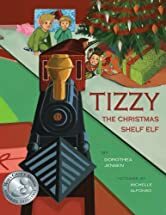 In the third of these tales, Dizzy has worked all year right next to his friend, Tizzy, and heard all about his Great Adventure (as recounted in TIZZY, THE CHRISTMAS SHELF ELF). The trouble is, Dizzy wants to have an adventure, too! 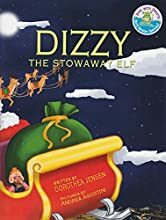 When he sneaks aboard Santa’s sleigh, Dizzy finds all the adventure he’s dreamed of, with two little boys, Stuart and Drake. The three of them share a wild joy ride and plenty of fun. Santa’s Izzy Elves stories are not your usual picture books – older kids who enjoy playing with words and rhythmical verse will love them, too. One reason for this is that although their stories are told in verse echoing the famous 19th-century poem A VISIT FROM SAINT NICHOLAS, Santa’s Izzy Elves are definitely 21st century, with electronics galore! FRIZZY, THE S.A.D. ELF is the fourth of these poetic tales. In this story, Frizzy, one of Santa’s Izzy Elves, styles the hair of Christmas dollies but misses them dreadfully when Santa takes them away on Christmas Eve. (She suffers from S.A.D. : Seasonal Affection Distress.) Frizzy decides she needs to change her job so she doesn’t get so attached to the toys she works on. She starts making something completely different but soon finds that her plan isn’t going to work out exactly as she intended! Dorothea Jensen, born in Boston, Massachusetts, was raised in Chillicothe, Illinois, where the author who created Zorro many years earlier grew up. She majored in English literature at Carleton College. After teaching high-school English and serving as a Peace Corps volunteer in Brazil, she earned a master’s degree in education at the University of New Mexico. Dorothea also enjoys writing rhyming verse. She has written a series of award-winning illustrated modern Christmas stories in verse featuring Santa’s Izzy Elves. In addition to writing, Dorothea is an experienced actress and singer. She performed with the Ex Machina Baroque Opera Company in Minneapolis and also played most of the Gilbert and Sullivan battle-ax contralto and ingenue mezzo roles with companies in Philadelphia and Minneapolis. She nearly always lost the hero to the soprano. What kind of challenges did Dorothea face writing poems for Santa’s Izzy Elves series? What kind of discussions families can have after reading the Santa’s Izzy Elves? Frizzy goes against the norm and refuses to stick to gender stereotypes when it comes to the design of her toys. Dorothea has been written for different age groups–does she has a preference? What is Dorothea currently working on, a message she would like to share with her readers? A big thank you to Dorothea for joining us and for sharing her wonderful, sweet little books with us! PreviouslyWith the Courage of a Mouse: #RWYK Certified Great Read! !